It's here!!! HTY Jewelry 2017 Collection "REVEAL"
I've been working so hard developing and creating my 2017 collection in the studio since last December....and now I can finally share my new collection "Reveal" with you!!! 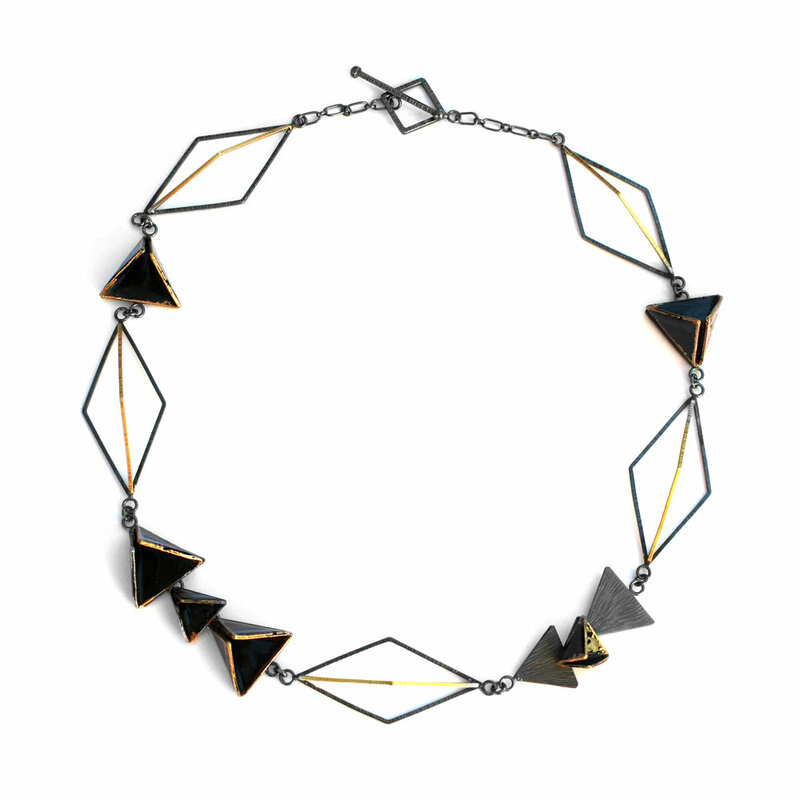 The “Revel” series is the true marriage of geometric inspired elements and electro-formed enamel design. 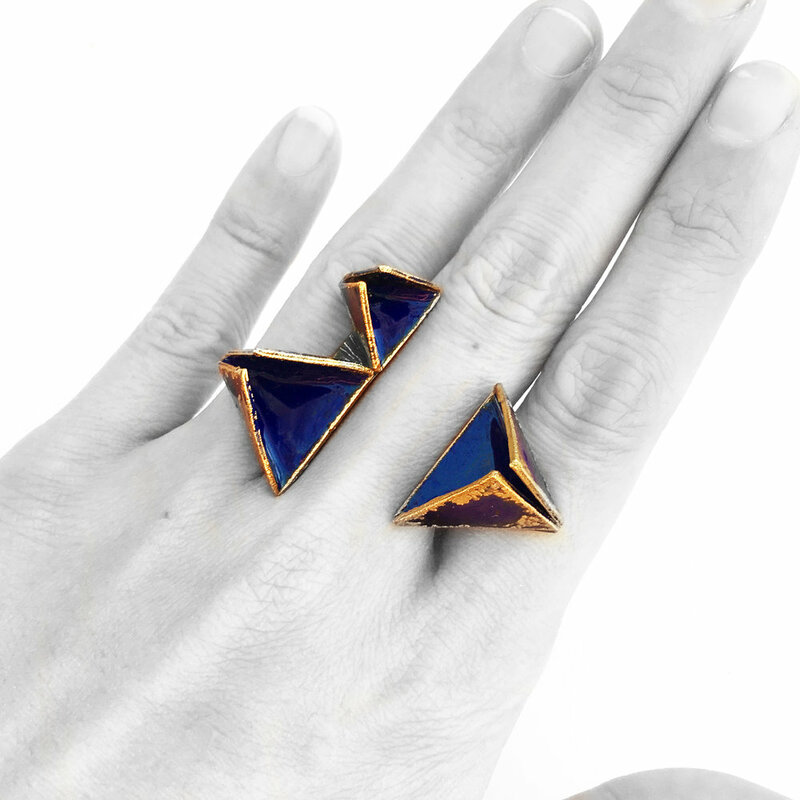 I'm completely intrigued by the endless possibility of the triangle form: from the 2D form to the 3D form to the wearer, and the space is created among three. I intentionally left the fold-formed enamel triangle component with an opened seam in order to create an invitation for the wearer to look closer because there is more to be revealed inside. The organic pattern is created by electro-forming. This makes every piece unique. It's available in my shop now, how would you dress of these beauties? I love to hear from you! Let me know what you think about this new collection!